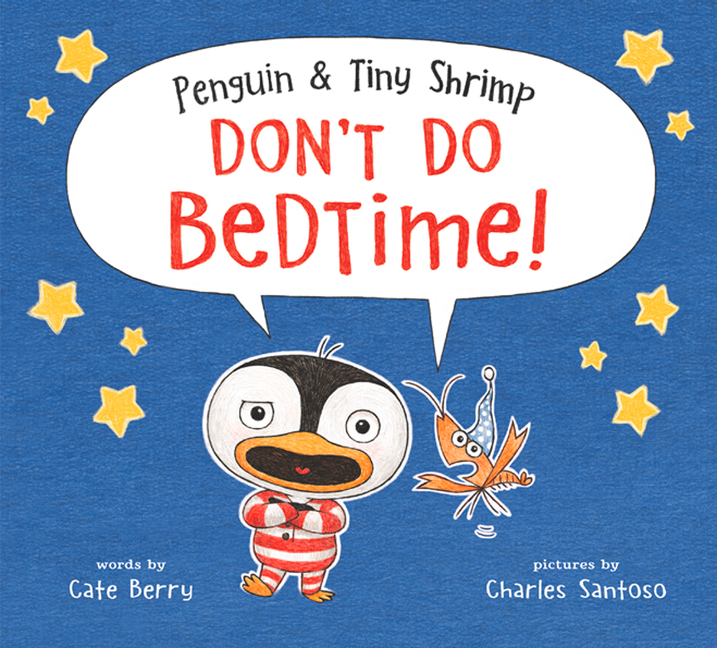 Penguin and Tiny Shrimp Don’t Do Bedtime! Up with Books! Down with Bedtime! Perfect for fans of Goodnight Already —this colorful, witty, illustrated debut picture book features no stories of soft beds, or cozy covers. Instead the characters adventure through fireworks and shark-infested waters, all the while determined not to do BEDTIME! With award-winning illustrator Charles Santoso’s vibrant drawings, the book is surely to become a YES bedtime read for kids and parents.